Welp, I did it. I painted my fireplace. 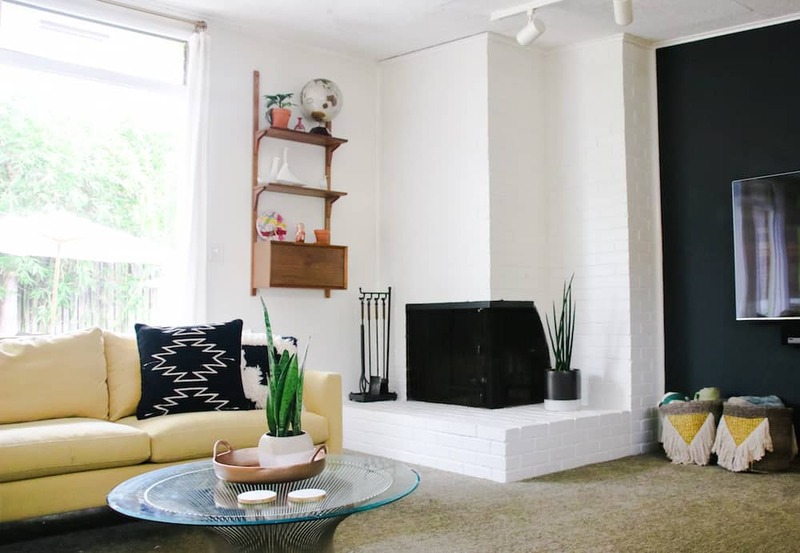 In my mid-century modern home (lots of pics from before we moved in here). This is fairly controversial, especially in a period home like mine, but I did it. 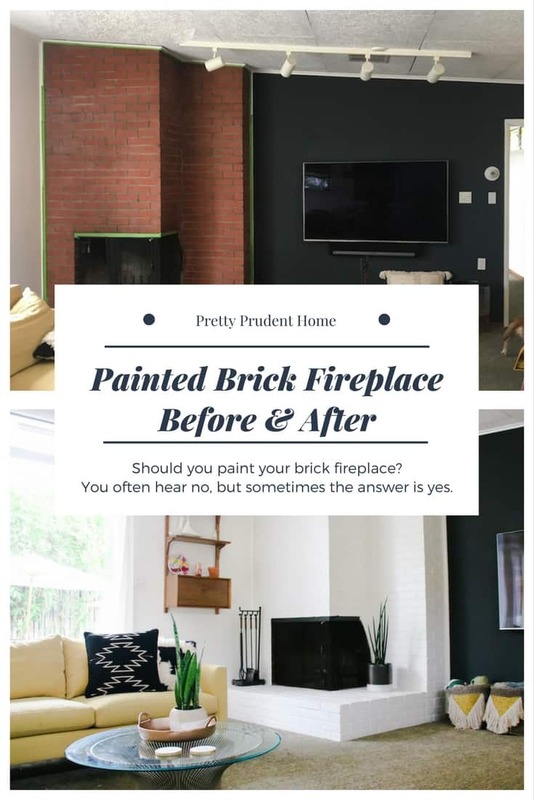 I now have a painted brick fireplace. What do you think? Love it! The white is much easier on the eyes than the red brick. 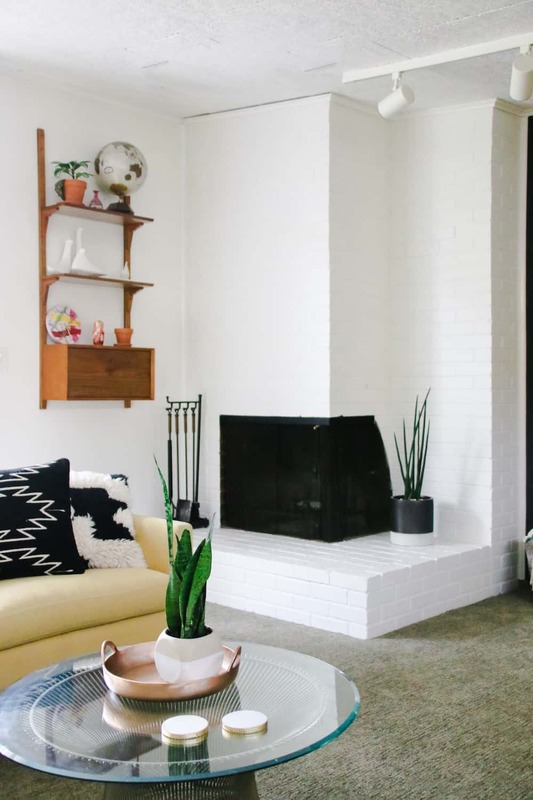 Plus all the black/white accessories (and that black wall) – makes the whole room feel more contemporary. Thank you! I’m almost going overboard with the black and white but I love it and it really lets the gold and yellow accents pop! Oh, YES!! Painting was/is the BEST solution. Great job!! OMG YES!! Undoubtedly yes. The continuity of color totally changes the room. Love it. Thank you! 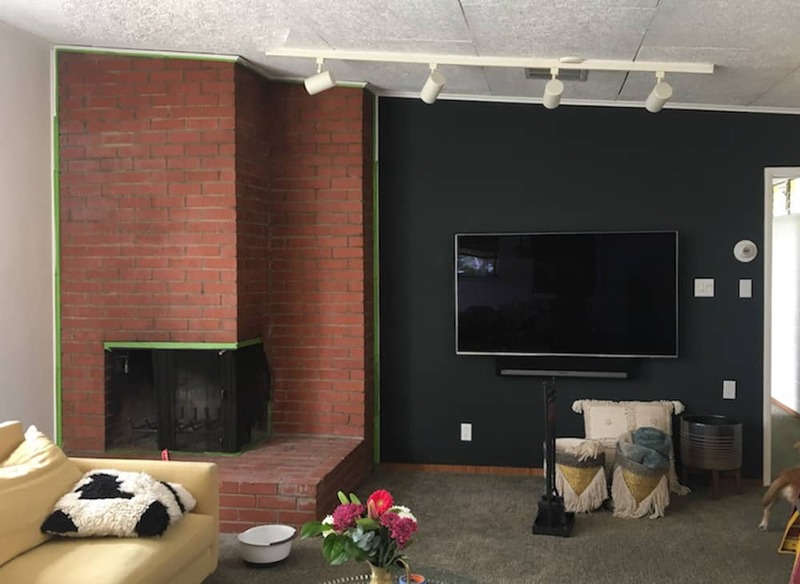 It definitely makes me feel better about my dark gray TV wall to have the rest of the room a nice bright white. Have been considering painting ours as well. I’m scared to because there’s no going back if it’s not good. Yours, however, looks awesome!!!! LOVE IT!!! All total – how much time did it take you and what source of instructions did you use? Have you tried doing a mock up of the room digitally to see how it looks in white? I think you can do this pretty easily with modsy (modsy.com) though I haven’t tried it yet! I didn’t use a source of instruction (I have the painting thing down for the most part), but Young House Love has a good one. Really I just used a masonry primer (can get at any hardware store), white paint with a thick nap roller, then lots and lots of paint with a brush on the grout (this took forever). 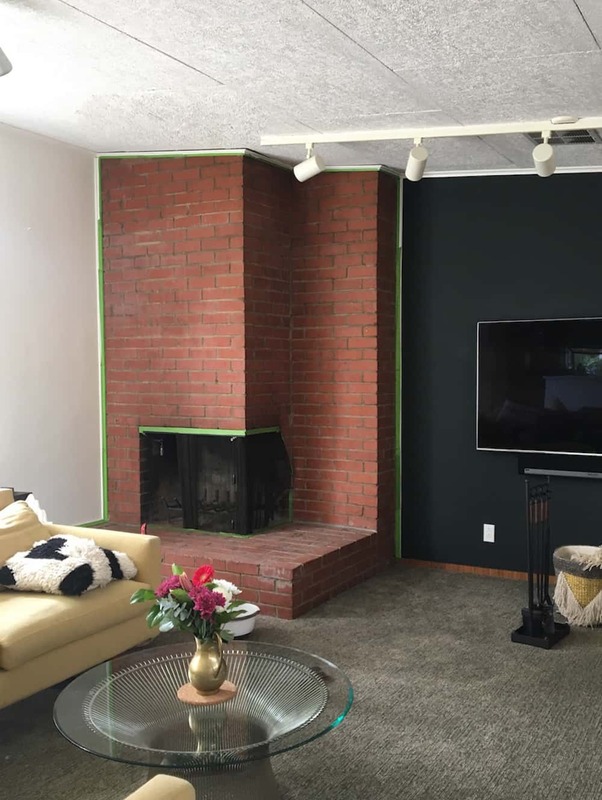 Then followed it up with caulk in any holes between the wall and the fireplace, which really made a huge difference in making it look neat. Thank you! The drop ceiling is seriously the worst, because it’s so expensive and detailed to deal with so it keeps getting pushed back. It’s only in the living room, but I know there is a beautiful beamed ceiling under there, covered with asbestos! GAH! The carpets have been removed from all the bedrooms and we finished the cement underneath, but I’m not sure I want to do that in the living room (so hard, I slipped today in my bedroom and have a giant bruise on my hip!) but can’t seem to decide on something else! So yes, a little project like this cheers me up. Good luck with your house! Absolutely! It was the right decision. Looks awesome!